I’ve been wanting to switch to a natural deodorant for 2 years now, but I’ve never found one I really liked. I would always go back and forth between a regular dove deodorant and toms natural deodorant. 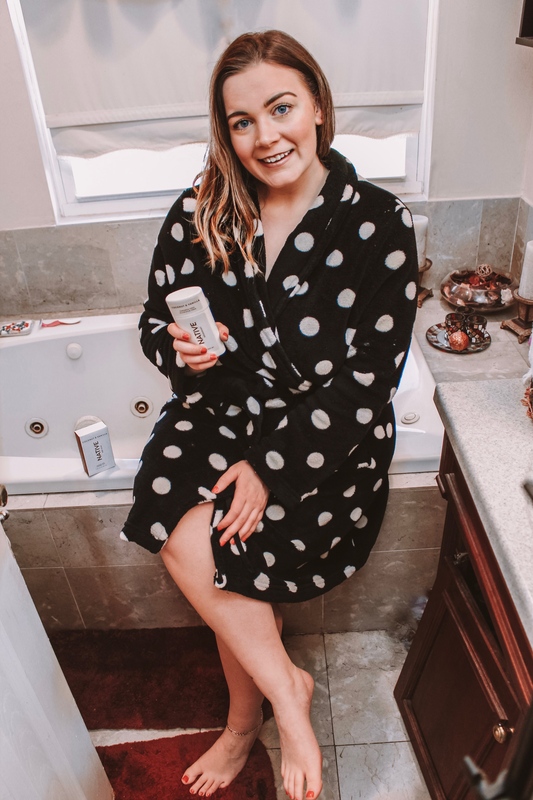 Recently, I switched to using Native products like the soap, body wash and deodorant, and I am obsessed. 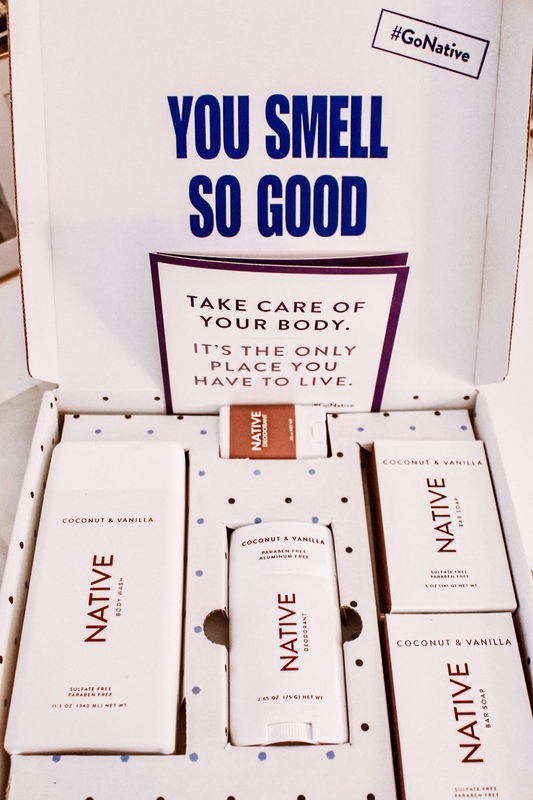 Native, is a natural deodorant free of parabens, aluminum, and sulfate. Aluminum has been said to lead to cancer which is a huge reason I wanted to make the switch. According to the Native FAQ page, the difference between deodorant and antiperspirant, is that antiperspirant prevents you from sweating. Aluminum plugs your body’s sweat ducts, preventing you from sweating. Deodorant works by eliminating and absorbing moisture and odor associated with sweat. I was a little scared not having the antiperspirant part in my deodorant because, I’m a pretty sweaty person. Especially, when I work out. But, I’ve had no problems making the switch to Native. They have so many scents to choose from, but the Coconut & Vanilla is my favorite and is their most popular. They not only carry women, but they have mens and teens as well! I am extremely happy I made the switch to using a natural deodorant. Native, will definitely be my deodorant forever now. I don’t see myself ever going back to traditional. Get your hands on Native and make the switch to natural deodorant like I did. Use my code 25_theresamariedaily to get 25% off your first purchase of $25 or more!